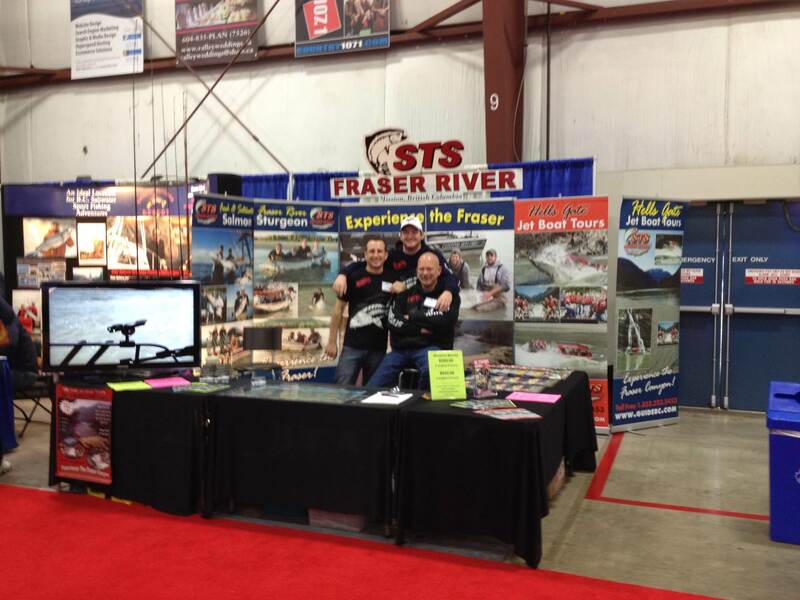 Well looks like another record attendance at the BC Boat & Sportsman Show, we would like to thank all our family, friends and customers who dropped by our booth over the weekend, it was great seeing you all. For me this was a special show as it is our 20th anniversary this year. Reflecting on the many trade shows, seminars and great trips we have done was really special. 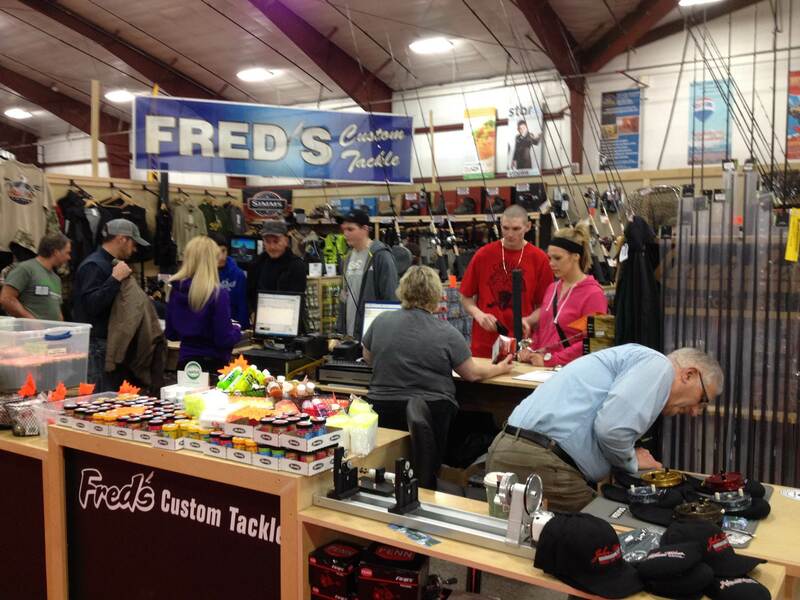 Speaking of Freds Custom Tackle, they had some great show specials on and if you didn’t get a chance to drop the show, these specials are still available for a few more days at his two locations in Chilliwack and Abbotsford. If you are looking for a great steal on some river rods, Fred is blowing out all his Fenwick HMX and Fenwick Elite Tech Series River Rods. 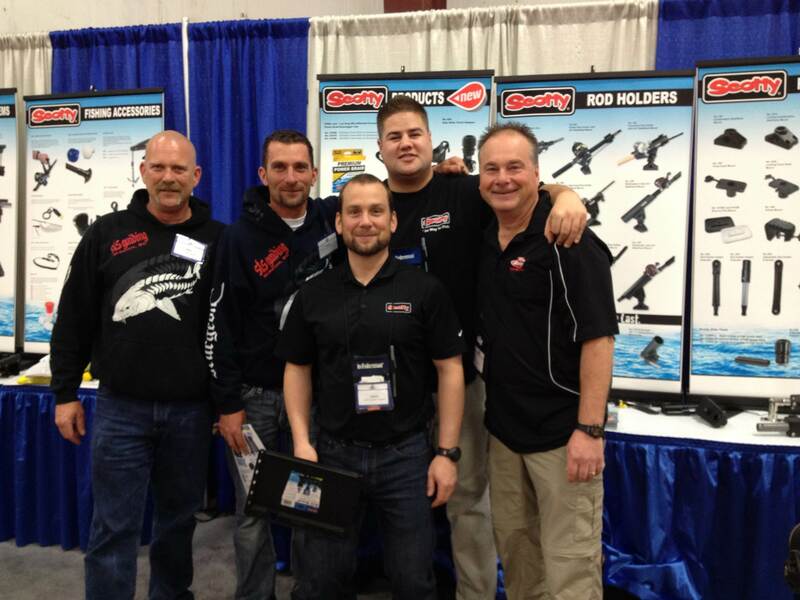 No fishing show would be complete without our good friends at Scotty, Erik & Craig are two awesome guys who work as hard as anyone in the industry to develop and provide us fisherman with some of the best fishing equipment on the market. Every year they have new products to show and are leading the industry in innovation. Thanks for keeping us on the water fishing boys, see you in Edmonton. 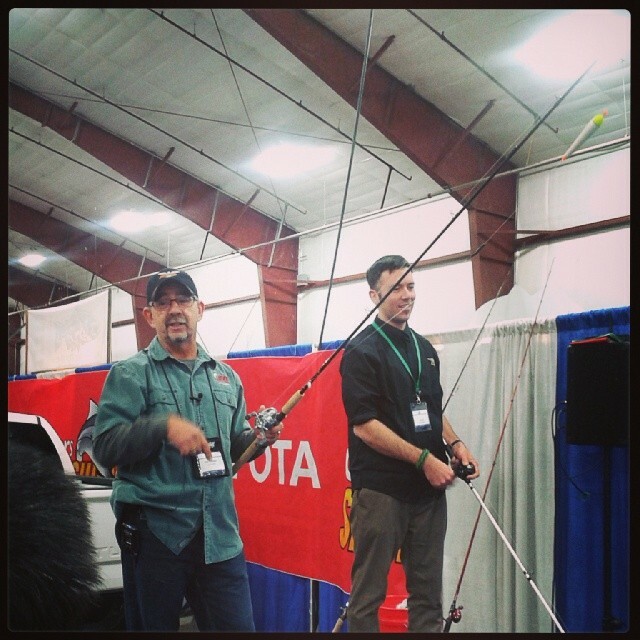 No Show would be complete without our good friends and sponsors Pure Fishing. 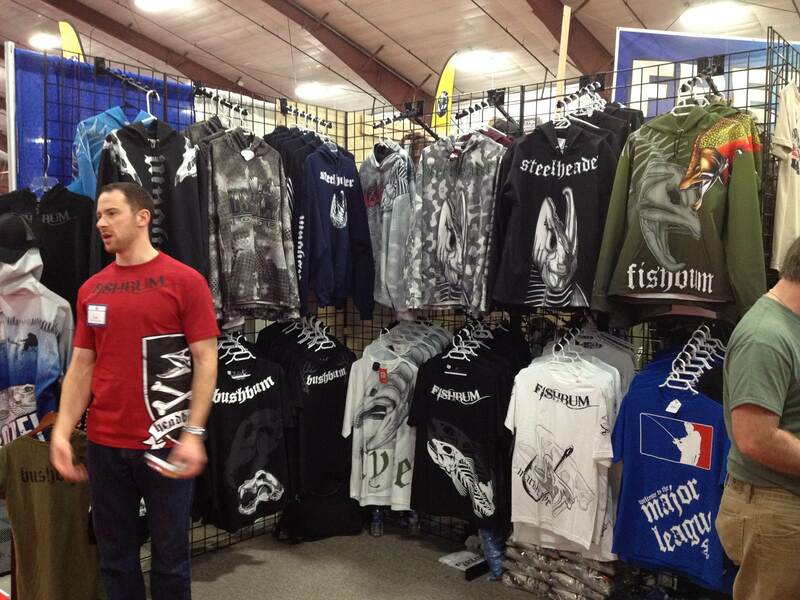 Our booth at the show was rock’n all weekend showing off all the new products for 2014. 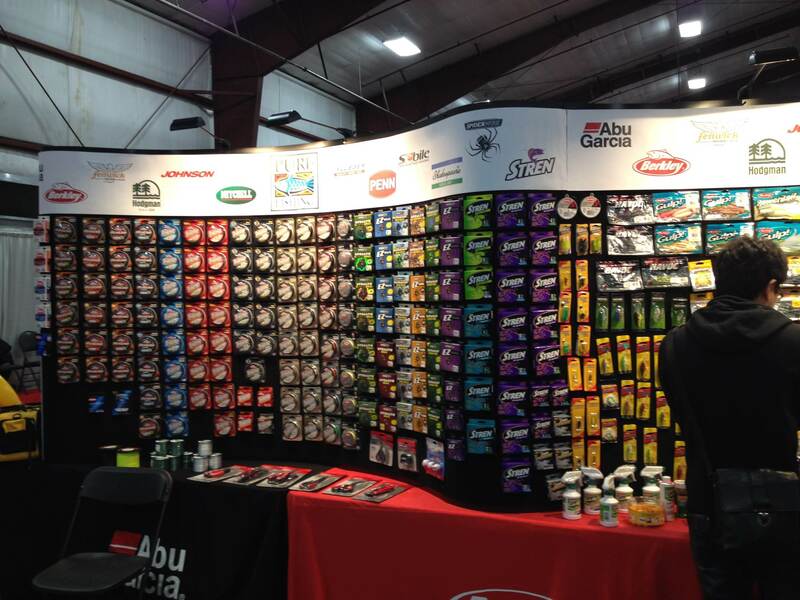 If you were one of the lucky ones who purchased Fenwick or Penn Products, we had some great giveaways including Penn Dry Bags, Abu Garcia Hoodies, Fenwicj hoodies and hats and some Berkely Gulp Mugs. If you checked out the Hunting Show in building B I am confident you were impressed, this part of the show is growing exponentially each year and this year was no exception. 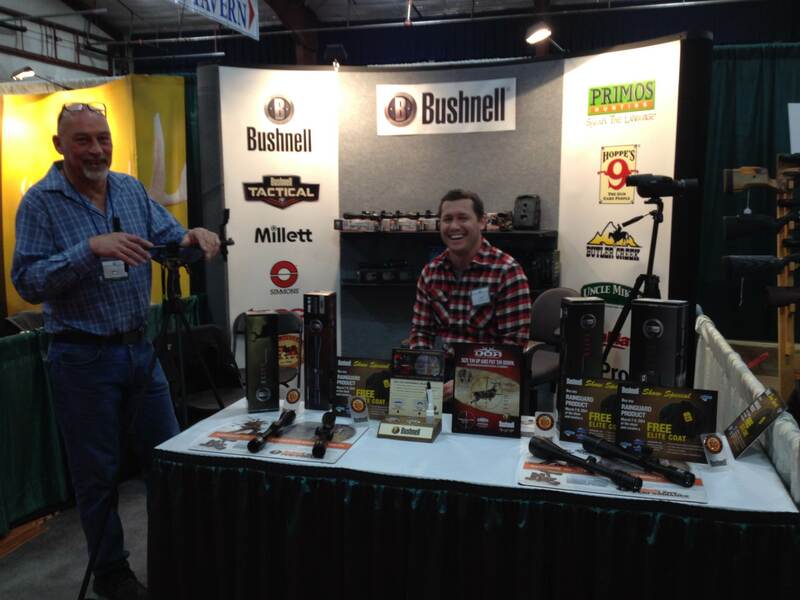 Our good friends at Bushnell were busy all weekend showing why Bushnell is still #1 in hunting optics. Walt and Dave were working the booth hard and Al, well he was somewhere in the building, lol. Last but not least the STS family worked hard all weekend, I hope you had a chance to drop by and say hello to your favorite guide and meet some of our families. We are off to Edmonton for the Edmonton Boat & Sportsman Show so if you are heading that way or live in the area, drop by and say hello. 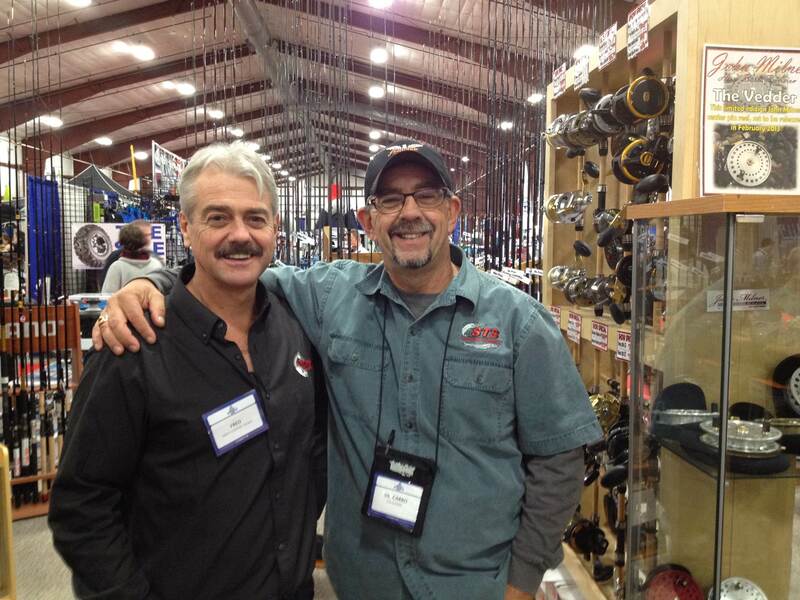 Pure Fishing, Scotty, Humminbird and STS will all be at the show so see you there.